Teeth whitening lies at the forefront of cosmetic dentistry because white teeth symbolize health and cleanliness, and play the key role in giving an attractive smile. What follows is an overview of professional teeth whitening and some easy-to-follow tips for keeping your teeth shining white. Not everyone’s teeth are suitable for whitening, nor will one set of teeth whiten like another. 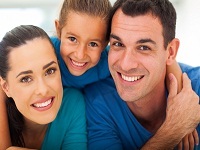 Teeth and gums must be healthy before teeth whitening can be considered. A full dental examination with radiographs should be done by a dentist to check for tooth decay, receding gums, existing restorations (as these will not bleach), current sensitivity, need for a scale and clean (as sometimes a clean will give patients a satisfactory whitening result). What are some things to consider with tooth whitening? Sensitivity – teeth can become hypersensitive to cold drinks/foods, air and may develop transient “zinging”. Sensitivity caused by tooth whitening will dissipate when bleaching is stopped. Multi coloured teeth – if there are fillings , crowns or veneers in the smile line, these will not bleach and will require changing in order to match the new shade of the natural teeth. Dissatisfaction – unfortunately due to biology and the cause of the discolouration, not everyone’s teeth will whiten at the same rate or to the same degree. 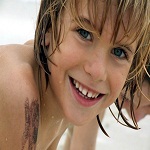 Teeth may only require two weeks of bleaching, however, in some cases bleaching may be required for months. Results cannot be guaranteed. Patients need to be realistic about their expectations – “fridge white” is difficult to achieve with whitening alone – Celebrity Smiles are most often achieved with the addition of porcelain veneers or crowns. There are no conclusive studies that show detrimental effects from tooth whitening. Guidelines are set by the Australian Dental Association in order to maintain proper practice and delivery of safe treatments. 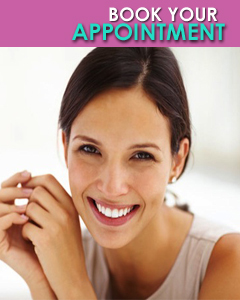 If whitening does not achieve the result you hoped for you may want to talk to your dentist about other options. What are common types of discolouration in teeth? 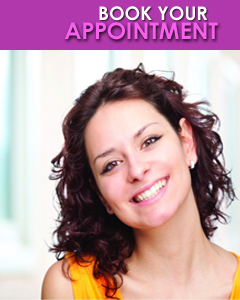 If you have any other questions about whitening – please do not hesitate to ask our dentists. 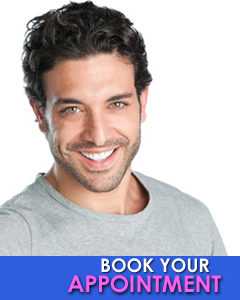 Call us today and we will help you achieve brighter, whiter teeth with the Smartbleach 3LT. Alternatively, we do offer home bleaching kits with customised trays to use at home! Some brands of whitening toothpastes successfully remove the surface stains on teeth. However, they fail in whitening the structure of the tooth. It is hard to predict how much your teeth are going to be whitened with bleaching. Being home based task, it can get astray from proper directions. Teeth that are dark on account of tetracycline stains cannot be whitened by bleaching gels. Apply a paste of lemon juice and salt to rub the yellowish tint of the teeth away. When applied regularly, this method effectively eliminates the dull coloration of the teeth. Rub the inner part of an orange peel (the white one) in the teeth that are discoloured to dull appearance. It will give a shiny white look to teeth. Use the paste of sodium bicarbonate regularly with water. It cleans the surface stains off the teeth. Combine dried and powdered Bay leaves with dried peel of orange and rub teeth with this mixture. It acts as a natural teeth whitener. Use oxygenating toothpaste for brushing teeth. It strengthens gums and prevents teeth from going sensitive. Before buying a teeth whitening kit having bleaching gel, make sure that the formula contains 21 % concentration and is based in carbamide peroxide. 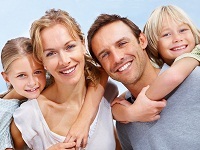 After using a teeth-whitening kit, rinse your mouth with an oxygenating oral wash.
Teeth whitening kits are easy to use and take less time than other whitening techniques. Take care of a few points before using such teeth whitening kits. The cosmetic dentist makes a splint for the patient, fitting precisely over his/her teeth. The patient places a gel in the splint and wears it for a specified time, usually 2 to 4 weeks. The result is a bright smile with shining white teeth. It offers greater comfort and ease. It costs less than other treatments. Minor touch-up treatments after a year or two will maintain the whiteness.